"Did a Big Law partner’s conflict check accidentally tip off a buyer to a deal in the works and result in one of the biggest media mergers of 2016? That very well could be the case, according to a letter that Comcast general counsel Arthur Block wrote to the Securities and Exchange Commission." 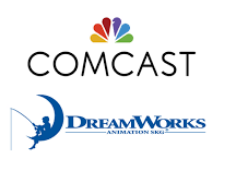 "Comcast purchased Dreamworks Animation SKG in April 2016 for roughly $3.8 billion in total. But that deal might never have come to pass if Comcast’s outside counsel at Davis Polk & Wardwell hadn’t called to make a routine conflict-check and accidentally spilled the beans that an Asian investment firm was on the verge of buying Dreamworks, according to Block’s letter. Neither Block nor anyone at Davis Polk & Wardwell are accused of any wrongdoing." "According to the letter, Comcast’s outside lawyer William Aaronson at Davis Polk, learned on April 10 that the head of M&A at his firm, George R. Bason, Jr., was angling to represent one of the financial firms advising Dreamworks on its potential sale to an Asian private equity firm. Knowing that his client, Comcast, posed a possible conflict in such a representation, the next day, Aronson called a Comcast executive Robert Eatroff, who handled global strategy, to get permission for the firm to advise on the matter." "According to the SEC complaint, on April 13, Comcast CEO Brian Roberts contacted Dreamworks about a possible sale and by April 28, a deal had been approved by Dreamworks’ board: Comcast paid $41 per share, beating the Asian private equity firm’s offer to pay $35 per Dreamworks share." The LA Times provides more detail on the mechanics and speed of the deal itself: "How thhe Comcast DreamWorks deal came together so fast."